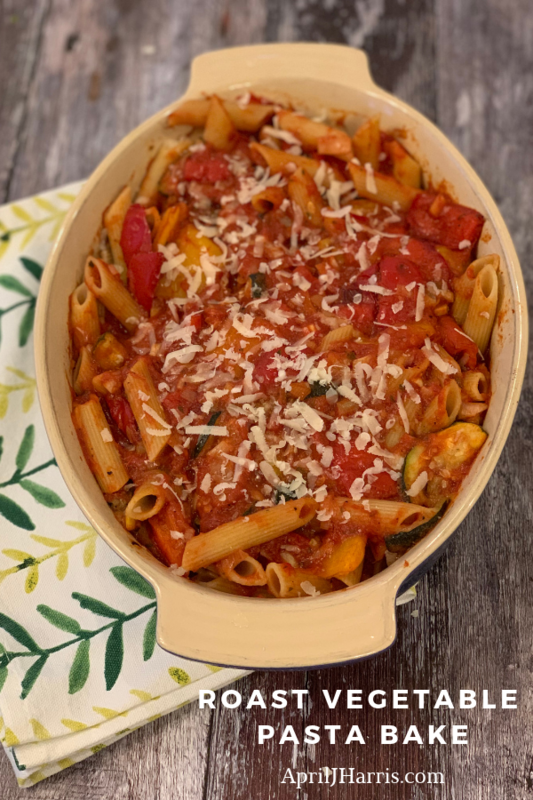 Roast Vegetable Pasta Bake is so tasty the kids won’t notice it’s healthy! Whole wheat pasta & roast vegetables make this a pasta bake with a difference. Almost everyone loves a good pasta bake, but sometimes they aren’t the healthiest option. Plain pasta and lots of grated cheese can make them a carbohydrate loaded option that fills you up, but doesn’t really nourish you. 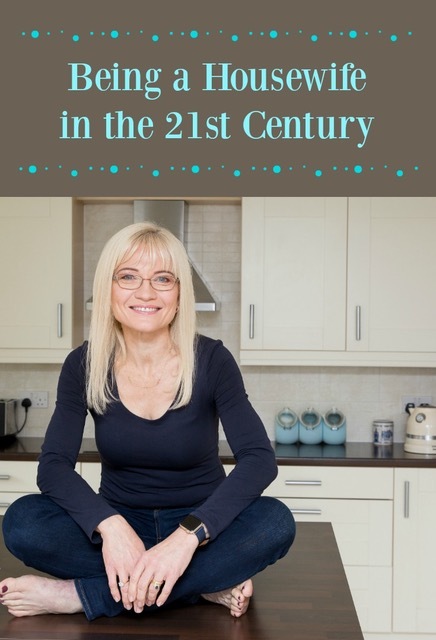 Do you know most of us simply don’t eat enough fibre? Whole wheat pasta has much more fibre than plain pasta so it’s definitely the healthier choice. A serving of whole wheat pasta contains about 25 percent of your daily fibre requirement. Using lots of roast vegetables means you can use less pasta, and as Parmesan cheese has a stronger flavour than most cheeses, you can use less of it too. Can I Make This Recipe Gluten Free? Yes! Simply use gluten free pasta to make your Roast Vegetable Pasta Bake. I like chickpea pasta because it has lots of protein and fibre, but no gluten. Is This Recipe Vegetarian or Vegan? If you use vegetarian Italian style cheese instead of Parmesan, the recipe is vegetarian. Omit the cheese, or use a vegan parmesan cheese, to make it vegan. 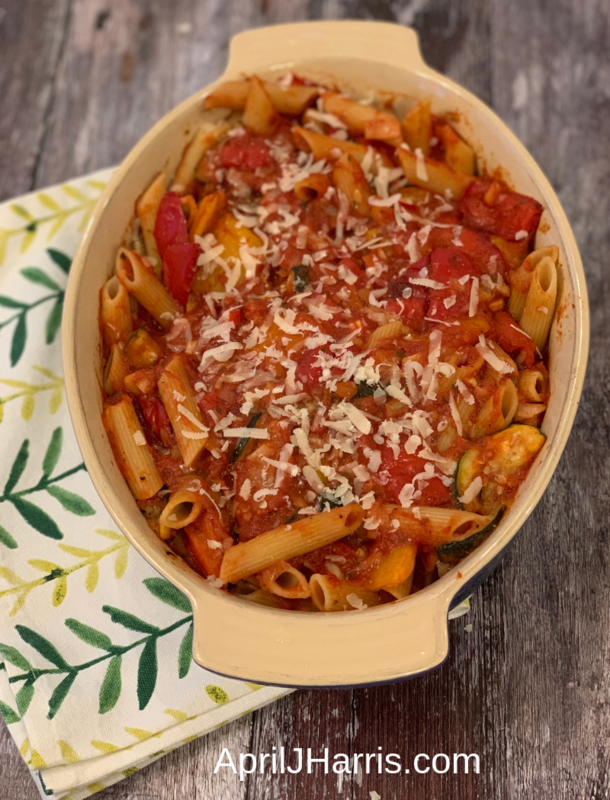 Served alongside a simple salad, my Roast Vegetable Pasta Bake makes dinner easy. You can even make this a day ahead, cool, pop in the fridge and serve it the next day. Reheat until piping hot before serving. Put the peppers and zucchini on a baking sheet and drizzle with 1 tablespoon of the olive oil. Roast in the oven for 20 minutes, turning once half way through. Meanwhile, heat the remaining oil in a large frying pan with a lid. Sauté the onion for a minute or two. Add the garlic and continue to cook. Pour in the tomato sauce or passata. Add the basil, oregano, salt and pepper. Pop on the lid and simmer over medium heat, stirring occasionally. Don't let it boil. Drain the pasta and stir in the cooked vegetables and enough tomato sauce so that the pasta is covered but that its not too runny. Transfer to a baking dish and top with the grated Parmesan. Bake the Roast Vegetable Pasta Bake for 10 to 15 minutes until the mixture is bubbly and the cheese begins to melt. Serve with a mixed salad.